I would choose Maria Tutaia. 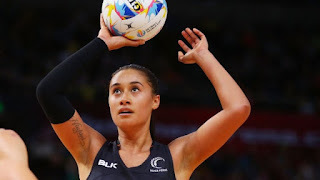 I would choose her because since Netball is not one of the Olympic sports, maybe it would be a good idea to have the best Netball player, from the best Netball Team, to be in the ceremony. What a good idea, Rosrine. I think that it would be a very nice touch to include an athlete from one of our most prestigious New Zealand-based sports in the opening ceremonies. I really admire Maria Tutaia. I think that she is a very special woman and I think that she would be a great person to represent New Zealand on the world stage. Good choice!